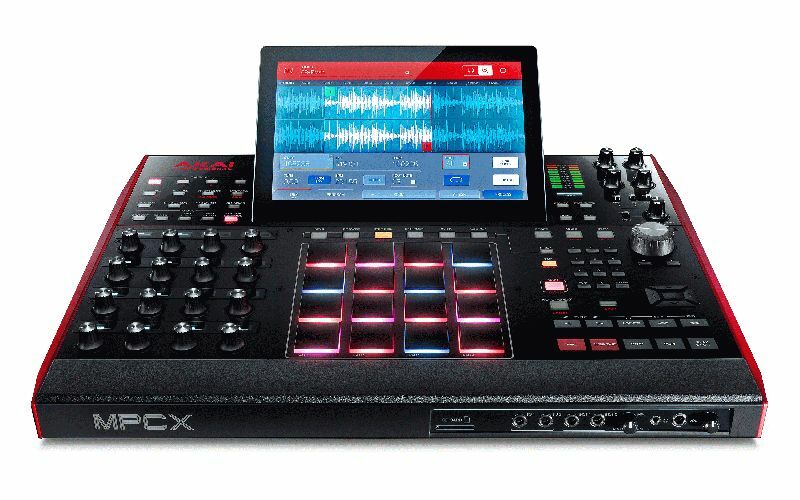 Cumberland, RI USA (January 9, 2017) — Akai Professional, a leading manufacturer of music equipment for performers and producers, today announced the newest addition to the iconic MPC line, the MPC X. In creating the X, Akai Professional has taken the lessons from every MPC that preceded it to engineer a production centerpiece truly fit to be the flagship Music Production Center of the future. The new MPC X is a standalone MPC featuring a beautiful, full-­color 10.1” multi-­touch screen and 16 amazingly responsive, velocity-­ and pressure-­sensitive RGB pads. Rounding out the controls are dedicated menu buttons, a large master encoder knob and 16 touch-­sensitive 360º assignable pots (Q-­ Links) with OLED displays, perfect for precisely automating individual parameters and delivering expressively nuanced recordings. U.S. retail is $1999 and will be available Q1 2017.